Małachowski Square | HOCHTIEF Development Poland sp. z o.o. HOCHTIEF Development Poland has carried out a unique development in the Warsaw city centre. 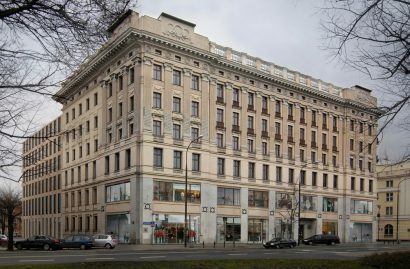 The project comprised a restoration of the count Raczyński’s modernistic tenement building situated opposite the Warsaw “Zachęta” gallery, also a new east wing as its extension has been developed. 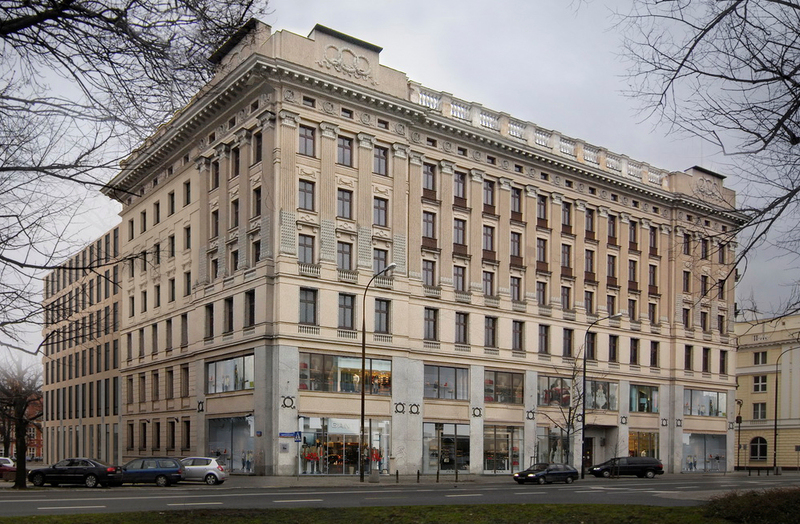 The project envisaged, among other things, restoration of the building’s historic façade facing Malachowski Square and Traugutta Street, with huge glass windows on the ground floor and the first floor, where retail and service spaces are located. Renovation also encompassed the interior of the building’s six floors, which were adapted according to the highest standards applicable in the modern office building industry. Both the original façade architecture and the internal decorative details have been preserved. On the east side of the building a new wing accommodating Class A office space has been constructed. It comprises six above the ground levels, along with two underground levels housing a parking lot for 100 vehicles. The total leasable space in the two interconnected buildings amounts to over 14,000 square metres. The project has been developed in accordance with the specifications of the BREEAM environmental construction certification system with an expected Very Good rating.